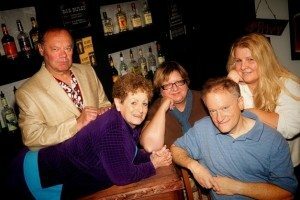 In a small off-Broadway theatre in NYC, it’s opening night for a new play, The Absolutely, Positively, Forget About it, Last Night at Von Dahm’s Sports Bar, Wing Hut and Karaoke Palace. The actors run through their lines one last time before heading to wardrobe, the props are on set, the music and lighting are cued. But there is something a bit unusual about this performance. The cast is composed of stutterers who have taken to the stage to face their fears of performing in public and to show others that it can be done. 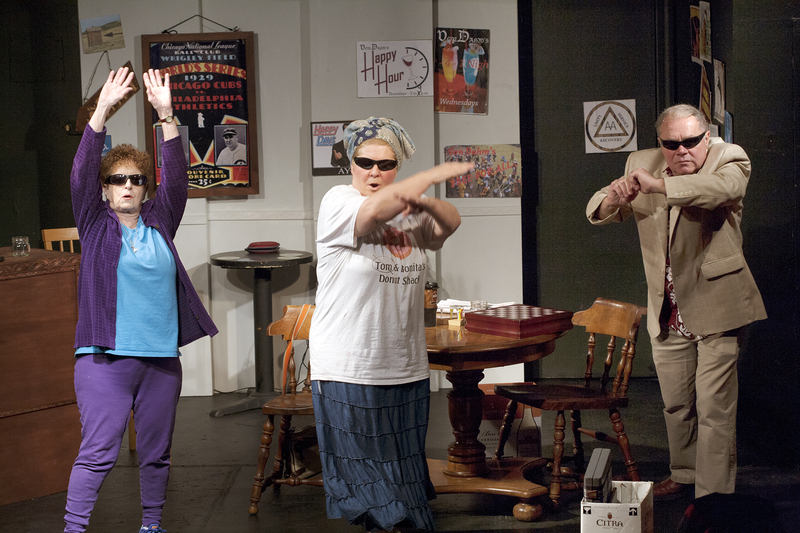 Kathe Mull, the director of the play, chose a comedy in part to stretch the actors’ ability. She encourages the actors to look at the audience, rather than looking down or to each other, to cover up the trouble they have voicing their words. On stage, the actors perform their lines with only occasional stuttering. Sue Camlin plays a bar owner who is closing down after decades in business, forced out by a new hip bar across the street that is part of the gentrification of her Philadelphia neighborhood. Her friends join her to help pack, and, in the process, they uncover an interesting piece of the bar’s history. The play is a production of the Actors International Theatre, a company dedicated to giving voice to people with disabilities. Katherine Filer is the founding director of the company and a member of a New Jersey chapter of the National Stuttering Association (NSA). According to the NSA, more than 3 million American adults stutter.